The next time you need to service your vacuum brake booster, the flame arrestor, the PCV valve, the air cleaner, the oil breather element, or the valve cover, be sure to replace the hoses for leak-free operation! Tell us how much you need, and we will add that to the rest of your order. Sure you could buy some locally, but stay at home and take a nap while we do the legwork! 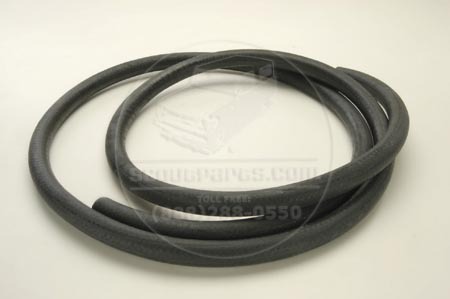 This is used as breather hose on many engines, going between the air cleaner and the PCV valve, the flame arrestor and the air cleaner, the valve cover and the air cleaner, the oil fill cap and the air cleaner, and the manifold and the brake booster.